eLearning 2.0 is a lively international conference exploring technology-enhanced learning and social media technologies. The conference is a collaborative space for educators, students, researchers, entrepreneurs, and policy makers to share their eLearning classroom successes, as well as new developments in their research and workplace. 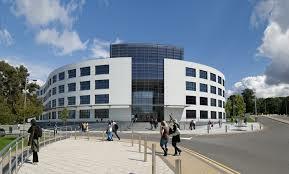 Brunel Business School is home to six research centres. The main theme of this year's conference is "The Paradigm Shift: Refocusing on the Student". This educational paradigm shift is fuelled by the unprecedented access that students now have to information, coupled with a view of learning as a constructive process consisting of selecting, organising and integrating information. The theme broadens the discussion from last year's theme of "Flipping the Classroom." It seeks to showcase any use of technology to enhance learning which requires us to "think differently." The conference seeks contributions on evolving pedagogical approaches, as well as to raise the profile of research in technology-enhanced learning; spread good practice in the use of technology to enhance learning; and facilitate collaboration between practitioners, researchers, and policy makers. Source: Brunel University News (press release).